Under the guidance of Barrow Group acting teachers, our tween (ages 10 – 13) summer programs introduce students to the Barrow Group approach to acting and storytelling. These intensives reinforce working with ease, clarity, and simplicity. We also encourage an atmosphere of trust and PLAY! 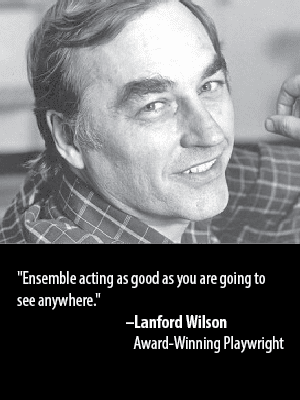 Our One Week Explorations in Acting Camp introduces students to the Barrow Group approach and tools through ensemble building games, improv, script analysis, monologues, scene work, as well as rehearsal and performance tools. The program culminates in a showing in the Barrow Group Studio Theatre. We believe that to act is to PLAY, and that students learn the most in an atmosphere of relaxed positive reinforcement. In our Two Week Musical Theatre Camp, students explore the Barrow Group approach as applied to Musical Theatre. This class introduces students to the same tools that our adult professional actors work with. Students will explore scenes, songs, movement, and audition technique. Students will work on at least two different songs; the first selected by the student and for the second the instructor will assign a piece. Our One Week Explorations in Acting Camp introduces students to the Barrow Group approach through on camera work on scenes and monologues. The week begins with ensemble building games, script analysis, short scenes, exercises to teach camera shots, angles, and film terminology. Students will then work on scenes, applying the Barrow Group tools, which are then filmed, edited, and shown during the culminating class showing. Our One Week Theatre Production and Performance Camp introduces students to all of the artistic and technical position in professional theatre: writing, acting, directing, and designing their own work. Students begin with writing exercises then step into the roles of actor, director, producer, stage manager and design team for each others work. Throughout the course, students will also learn the basic technical aspects of running the light and sound booth by working hands on with industry professionals. The camp culminates in ashowing of their plays for friends, family and TBG community members. In our Weekend Workshop: Tween and Teen (ages 10 – 17) Monologue Coaching and Audition Prep, students will prepare audition material, participate in mock auditions, and learn audition technique. Both students and parents will also have the opportunity to ask questions about the audition process. This camp is great for students planning to audition for arts/professional middle and high schools (such as LaGuardia High School, Professional Performing Arts School PPAS, Frank Sinatra School of the Arts, Brooklyn High School of the Arts, The Beacon School and others). It is also great for high school students planning to audition for BFA theatre programs at colleges/universities. For all of the above camps, we offer Extended Day from 8:30am – 10am and 5pm – 6:30pm. During this time, students will participate in group led activities such as arts and crafts, story time, etc. Extended Day is an additional $100 per week. To register for Extended Day, please contact school@barrowgroup.org.